This ultra-casual boyfriend August Steiner timepiece features a slim case with a beveled bezel. The dial is adorned with hand-applied markers and ultra slim hands. 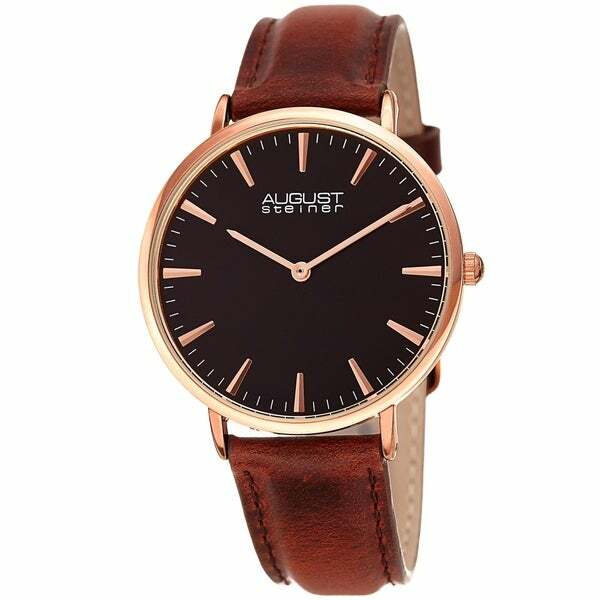 The genuine leather strap will sit comfortably on your wrist.